We left Bilbao and headed towards Rioja doing chores along the way in the form of picking up some ‘accessories’ for the motorhome and shopping. Both of which took longer than expected – there is something about going round a supermarket in a new country that means that it has to take at least three times longer than normal to get round. 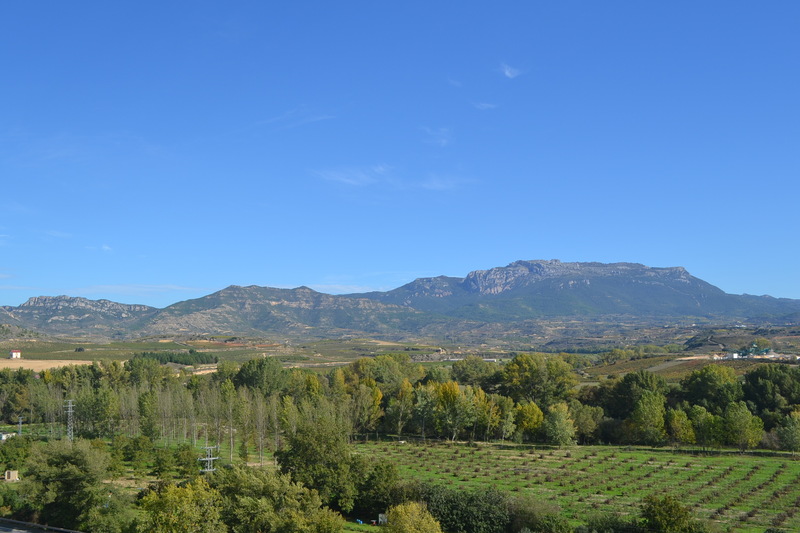 However, once on the road we headed into and then over the mountains to our first ‘Espana Discovery´ stop over … or so we thought. We pulled up outside Bodega San Sixto in a small town called Yecora just before 6pm to be told that we could buy 12 bottles of Rioja for 21 Euros or 6 bottles of Rioja Crianza (slightly more mature) for 18 euros, but we couldn’t stay. When we explained that the book said we could stay – in typical Spanish style he shrugged his shoulders and pointed us in the direction of the town and said he was sure there were plenty of places that we could park up for the night without being disturbed – but he couldn’t help us with anything except the wine. So we decided to opt for 6 bottles of Crianza ‘Campo Lengo 2012’, paid our 18 euros at the front door and went round to the back door to pick up our goods. We drove in the direction he had pointed us and came to a stop as the roads quickly narrowed as they twisted and turned and there was no way we were going to be able to get through. So, we had to abandon efforts and submit to another hours driving through Rioja countryside to arrive at Haro, which is apparently the capital of Rioja. The campsite is called ‘De Haro’ and is 16 euros a night all inclusive. It was packed with Brits. We couldn’t work out why it was so popular despite the views being fantastic ….